Vitamin A supplementation for children: has the WHO got it right? In this blog, Sarah Rayfield, Speciality Registrar in Public Health, looks at the latest Cochrane evidence on vitamin A supplementation for reducing death and disease in children living in low and middle income countries and and asks whether the WHO guidelines need to be updated in the light of it. “Carrots help you see in the dark!” was a popular saying in England during the Second World War. 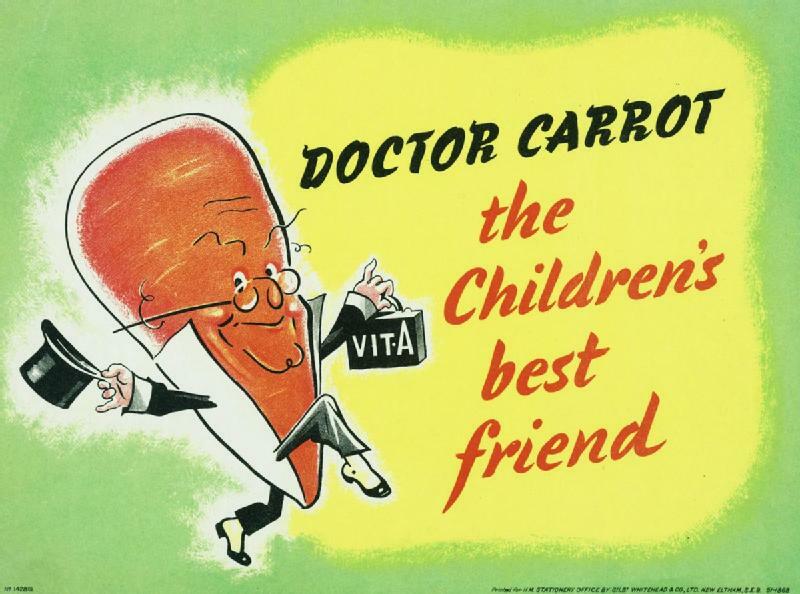 Doctor Carrot depicted with his bag of vitamin A was proclaimed as the “children’s best friend”. We now know that although vitamin A may not actually help you see better in the dark, it is indeed highly necessary for eye health with vitamin A deficiency being a leading cause of preventable blindness in children worldwide. In fact, Vitamin A is an essential nutrient needed for growth and maintenance of all the normal functions of the human body and children who do not have enough of it are at a much greater risk of dying from serious infections. In the UK, vitamin A deficiency is fortunately now rare, except in certain medical conditions such as cystic fibrosis. However, around 190 million preschool children around the world do suffer from vitamin A deficiency, and it is particularly an issue for those living in low income countries such as in sub-Saharan Africa and South East Asia (WHO, World Health Organisation, 2017). Diets in these countries are based mainly on rice, which although rich in carbohydrates, are poor in micronutrients including vitamin A. Pregnant women have a higher requirement for vitamin A and deficiency during pregnancy can lead to a newborn with vitamin A deficiency. As vitamin A deficiency is almost unheard of in high income countries, it is one of many examples of global health inequalities, however it is also one that has a relatively simple solution. Since 2011, the WHO (World Health Organisation) has recommended universal vitamin A supplementation for children aged between 6 months and 5 years who live in areas where vitamin A deficiency is present (WHO, 2011). These recommendations were based on two previous Cochrane systematic reviews, both of which assessed the evidence for vitamin A supplementation in reducing death and disease but one looked at children in general, with the other review looking at adults and children with human immunodeficiency virus (HIV). The first of these two reviews has recently been updated and a further two Cochrane reviews published which ask the same question but for different ages – newborn babies born at term and for infants aged 1 to 6 months of age. This blog considers the evidence assessed by all three of these reviews and asks whether the WHO guidelines need to be updated in the light of this evidence? The updated review (Imdad A, 2017) looking at children aged 6 months to 5 years, continued to find that vitamin A supplementation reduced the risk of death from all causes by 12%. This was mostly due to the reduction in incidence and death from diarrhoea. Vitamin A supplementation did not reduce the risk of death from measles, respiratory disease or meningitis. There was also evidence that supplementation reduced the number of children with Bitot’s spots (a sign of vitamin A deficiency) and the number of children who developed night blindness. Conversely, for newborn infants (Haider BA, 2017) and infants aged between 1 – 6 months of age (Imdad A A. Z., 2016), neither Cochrane review found evidence that vitamin A supplementation at these ages reduced the risk of death or illness from any cause by either 6 months or 1 year. For newborn infants, there was also no evidence that vitamin A supplementation from birth reduced the likelihood of vitamin A deficiency at either 6 weeks or 4 months of age. Although there was no evidence of increased side effects such as vomiting or diarrhoea, babies who had vitamin A supplementation were more likely to have a bulging soft spot on their heads (fontanelle) in the first 2-3 days after starting supplements. In fact, infants aged 1-6 months who were given vitamin A, were found to have three times the risk of a bulging fontanelle when compared to those who did not receive vitamin A. Although this did not increase the risk of death or seizures, it is unlikely to be an acceptable side effect in the light of no evidence of clinical benefit. 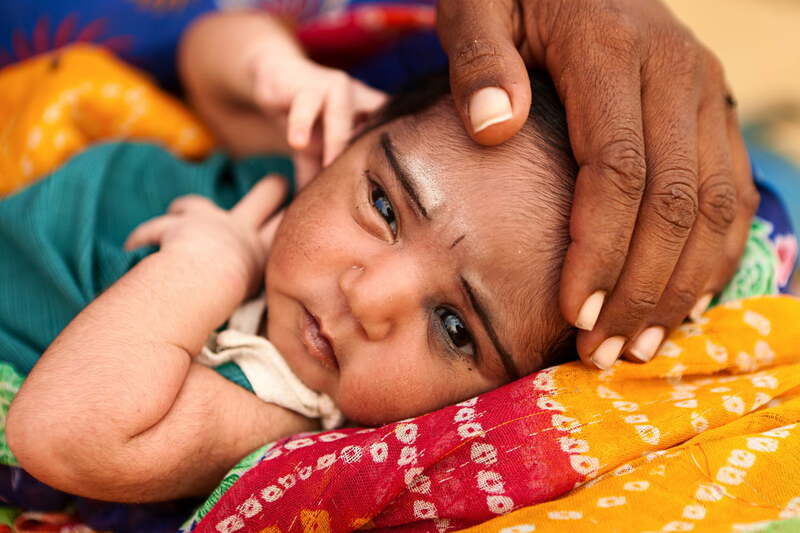 The Cochrane review looking at newborn infants did suggest that while the combined result showed no evidence of effectiveness, there was an indication that individual studies showed vitamin A supplementation to be more effective when given to children in countries with higher levels of vitamin A deficiency (such as in Asia). However giving vitamin A to infants in areas with less deficiency (such as in Africa) did not reduce the risk of death and in fact appeared to have caused harm through side effects. However, the authors caution the need for further evidence before policy changes are made on the basis of these particular results. Each of the three reviews included studies of children living in low and middle income countries, which is appropriate given the global distribution of vitamin A deficiency. The newborn review contained 12 studies and over 168, 000 infants. In general the quality of evidence was high except for outcomes of diarrhoea immediately following starting supplements and when the authors looked at risk of death at 6 months in term infants only. The review looking at infants aged 1-6 months also included 12 studies with just under 25, 000 infants. The quality of the evidence in this review was more mixed with most studies considered to be of low or moderate quality, usually due to the risk of bias. The review on children aged 6 months to 5 years was the largest and included 47 studies with over 1.2 million children. Again the quality of the evidence was mixed with the authors assessing most studies to be of low or moderate quality. Although bias was felt to be an issue in some studies, it was judged that the main outcome of the impact of vitamin A on reducing death was at low risk of bias. What does this change about what we know? In essence, these recent Cochrane reviews show that the current WHO policy is in line with current evidence. There was no evidence of clinical benefit when giving vitamin A to newborn infants, or those up to 6 months of age. In fact, supplementation at these early ages only appeared to increase the risk of side effects. There is currently only evidence for benefit of vitamin A supplementation in those aged 6months to 5 years and it is indeed an important benefit – reducing the risk of death, particularly from diarrhoeal illness. According to the WHO, diarrhoeal disease is the second leading cause of death in children world-wide under the age of 5 and it is also a leading cause of malnutrition in this age group (World Health Organisation, 2017). Vitamin A supplementation therefore has an important role to play in reducing this burden of disease. Given that we know vitamin A supplementation to be effective in those aged 6 months – 5years, considerations should turn to ensuring the universal supplementation programme is delivered in the most practical and cost effective way to all children living in areas of vitamin A deficiency. As vitamin A is a fat soluble vitamin it can be stored in the liver which means it is only needed every 6 months to avoid deficiency. Currently many countries have developed strategies to integrate vitamin A supplements into routine health services, or distributing along side national immunisation programmes (Unicef, 2007). However, in order to be truly effective, there needs to be wide ranging interventions to improve child health which include promotion of vitamin A-rich diets, food fortification and ensuring breastfeeding, alongside universal vitamin A supplementation. Sarah Rayfield has nothing to disclose. Dr Sarah Rayfield is a Public health registrar currently training in Oxford. Sarah graduated from Imperial College medical school in 2005 and initially trained in Paediatrics obtaining MRCPCH before making the move into public health in 2012. As part of her public health training she completed an MSc in Global health Science at Oxford University in 2014. She is interested in maternal and child public health, in particular childhood obesity, breastfeeding and reducing health inequalities. You can follow Sarah on twitter @RayfieldSarah.